A California mother of five has died after attempting to rescue her children from a house fire. Kristina Stratton was out at a movie with her older daughter when she received the nightmarish call that her family home in Bakersfield was on fire — worse still, her children were trapped inside. With first responders on their way to the address, Stratton sped back and, without any hesitation, rushed inside the smoke-filled house. Tragically, in the chaos of the situation, the mother did not notice that her children had already started to escape the flames through an upstairs window, as reported by the Bakersfield Californian. 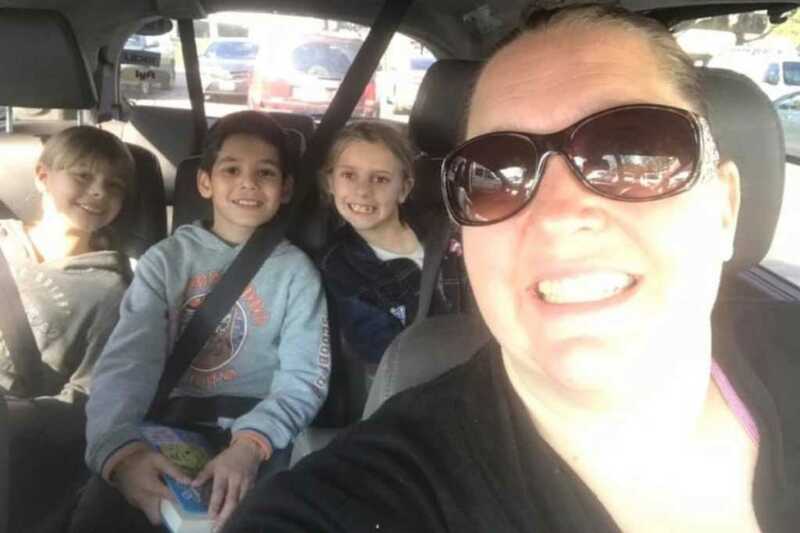 Heartbreakingly, the brave mom never made it out — her body was discovered next to the family dog, who reportedly alerted the kids to the flames by biting one of their arms. “My sister just did what any mom would do, protecting her children. She’s my hero. I hope I could be half the woman she is,” said Stratton’s sister, Sarah Parks, according to BakersFieldNow.com. The children managed to escape relatively unscathed by jumping onto an RV below but were admitted to hospital as a precaution. Almost inconceivably, Kristina lost her husband to cancer four years ago, with whom she had her first three children. As a result, the youngest trio of kids are now orphaned. According to Parks, the father of Stratton’s oldest two children lives in a different state. In response to the tragedy, Interim Fire Chief David Witt issued a statement expressing his condolences and reminding the public of some vital fire safety precautions. “It’s just unspeakable heartbreak to have to do something like that when you lose a loved one, so you can just imagine the raw emotions that are there,” family friend and local pastor, Angelo Frazier, told KERO-TV. A GoFundMe page has been set up to help the family as they recover from such a devastating event. Stratton’s sister, Sarah Parks, will now take on legal guardianship for the children. So far, just under $40,000 has been raised. Do pray for these dear kids as they grieve the loss of this dedicated mom.